After experiencing debilitating cluster headaches for many years, and finding little relief with standard medical intervention, Dr. Chris Schlee began to look to a more holistic method of wellness. 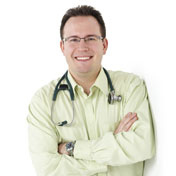 Chris discovered the benefits of naturopathic medicine and these principles and practices mirrored his own philosophy. After graduating from Naturopathic College, Chris received the Leadership Award for service, involvement and initiatives within the community. His practice focus extends to treating gastrointestinal disorders, musculoskeletal injury, cancer, mental health issues and allergies. IV therapy can quickly and efficiently deliver the treatment to the body via the blood stream, bypassing problems introduced by the digestive system. Our Regenerative Injection techniques are used for chronic pain, sports injuries and damaged tissues, promoting healing in joints, tendons and ligaments. Ozone Therapy uses the natural power of oxygen to cause damaged joints, ligaments, tendons and other tissues to regenerate. Our Lab Tests include Advanced Hormone Testing, Digestive Testing, Food Sensitivity Testing and more.